Olansi Healthcare Co., Ltd is a professional hydrogen water maker,hydrogen water machine and hydrogen water bottle manufacturer. These equipments can produce hydrogen-rich water. Hydrogen-rich water has become increasingly popular nowadays and for good reason, the benefits that it provides to one’s metabolism, along with its anti-inflammatory properties makes it a must-have for just about everyone out there. Purchasing hydrogen-rich water from stores however is not a good investment. Not only do these come at an inflated rate, but in many cases, one simply does not have the time to run to the store constantly in search of more . This is why Olansi first released their water treatment equipment, particularly their hydrogen-water machines that have the ability to product hydrogen-rich water without needing one to personally buy new bottles of them from the store. Their many products include hydrogen-rich water machines, hydrogen-rich water bottles and similar products. Through this, Olansi has ensured that they provide a streamlined and consistent amount of hydrogen water to their customers, who now never have to worry about their hydrogen water supply running short. With the ability to drink the new water as they please, they are quickly and more effectively attaining all the many benefits that one can achieve from hydrogen water such as prevention of diabetes and the slowing down of a wide range of diseases. Olansi believes in providing their customers nothing but absolute quality, and it is this value that they’ve kept with them for a very long time. Ever since their establishment in 2005, they have been a widely known name for their quality assurance and consistently valuable products. Each of their products is designed by an exceptional team of modelers and designers who go into the intricacies of what it means to create high-performing and truly functional hydrogen-water machines. Their sales have thus, as a result always been improving and they continue to be one of the most well-renowned companies that provide hydrogen water dispensers, machines and bottles. Olansi is a water purification equipment and dispensing company that excels in all things that relate with water. 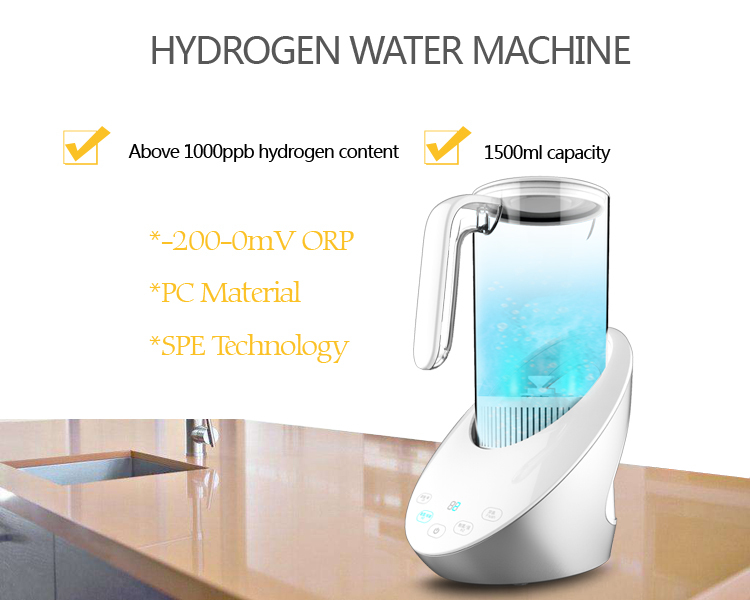 Their line of products that has to do with hydrogen water maker has become increasingly popular nowadays as a result of the many benefits of water rich in hydrogen.